Oregon – more so than other programs – has a propensity to look for athletes. Players listed as athletes often don’t fit the classic profile for a specific position. It is not uncommon for these players to be a bit underrated. In the haste to make everyone fit in a box, athletes like this can be somewhat overlooked. And yet, these kids often have a great chance to become significant contributors and even stars. This is especially true in the case of Oregon, which places a high value on versatility. For what is often overlooked is that it is not always possible to project with precision how 17- and 18-year-old players will grow into their bodies three to four years later. 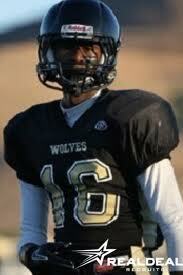 Meet Chris Seisay of American Canyon High School. Seisay is listed on MaxPreps as a top 25 Athlete, along with two other Oregon recruits: Tyree and Tyrell Robinson of San Diego. He is listed by 247Sports as the 70th-ranked player in California. True to his designation as an Athlete, Seisay has put up some pretty impressive numbers all over the field. On defense, he is credited with 73 tackles, 2 interceptions and 1 fumble recovery through his first 11 games. On offense, Seisay has corralled 23 receptions for 499 yards, a 21.7 yard average per catch. He averages almost 7 points per game. 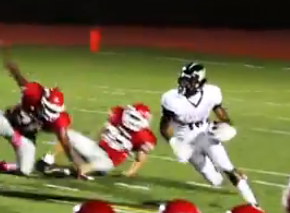 It doesn’t stop there for the versatile Seisay, he also returns kicks and punts for his team. With 24 punts under his belt, he is averaging 40 yards per kick. When it comes to punt returns he has returned six while averaging 36 yards per return attempt. Seisay was recently honored as the Solano County League’s Defensive Player of the year. In addition to his defensive award, Chris also was awarded a slot on the All-League Second Team Offense for his work at wide receiver. His contributions helped American Canyon to a 9-1 regular season record and a league championship. Later that month, Seisay attended the Oregon summer camp where he was recognized as the Defensive Back MVP. By the end of camp, Oregon’s coaches had seen enough. Before leaving camp, Seisay was offered a scholarship, which he accepted a short time later. Seisay made his official visit on September 7th, and said he will be playing on the defensive side of the ball. He’ll start out at cornerback, although depending on how he grows and fills out, there is the possibility he could eventually be moved to safety. Either way, Seisay has the potential to be a dominant defender for the Ducks.